"My book wasn't getting a fair chance. And choosing a pen name gave it a fair chance." --Patricia O'Brien, aka Kate Alcott, in a story in the New York Times by Julie Bosman (if that's her real name) about authors adopting noms de plume when the sales records of their previous books, measured by Nielsen BookScan, aren't good. In the first public case of a publisher or distributor outside the ranks of the big six houses pushing back against Amazon's aggressive efforts to get better terms from its book suppliers, Independent Publishers Group recently refused to change its terms with Amazon and as a result, the online retail giant is no longer selling digital editions of books distributed by IPG. In an e-mail to his publishers, IPG president Mark Suchomel wrote that Amazon "failed to renew its agreement with IPG to sell Kindle titles." He emphasized to Shelf Awareness yesterday, "They've chosen not to buy our stuff. We're not cutting them off." The move affects more than 4,000 e-titles. Print editions of titles by IPG publishers continue to be sold by Amazon. 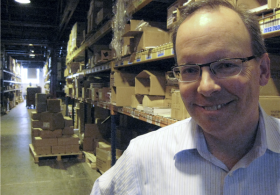 The distributor, the second largest in the country, has six distribution programs, including IPG, which distributes 261 houses, and Small Press United, which distributes another 274. In the e-mail to clients, Suchomel explained the faceoff with Amazon this way: "As has been publicly reported, Amazon.com is putting pressure on publishers and distributors to change their terms for electronic and print books to be more favorable toward Amazon. Our electronic book agreement recently came up for renewal, and Amazon took the opportunity to propose new terms for electronic and print purchases that would have substantially changed your revenue from the sale of both. It's obvious that publishers can't continue to agree to terms that increasingly reduce already narrow margins. I have spoken directly with many of our clients and every one of them agrees that we need to hold firm with the terms we now offer. I'm not sure what has changed at Amazon over the last few months that they now find it unacceptable to buy from IPG at terms that are acceptable to our other customers." He added, "Hopefully Amazon will change their stance." Suchomel urged client publishers to add the following notice to all e-mails, ads, websites, press releases, etc. : "This book is available in print or electronic edition at your local independent bookshop, www.BarnesandNoble.com, www.indiebound.org, iTunes, Kobo, and elsewhere. It is not currently available in a Kindle edition." He also recommended explaining the situation to authors and having them "encourage traffic to those places that carry both print and electronic editions. Our website, www.ipgbook.com, is able to take direct consumer orders, but there is no better way to show our valued customers how much we appreciate doing business with them than to send orders their way." 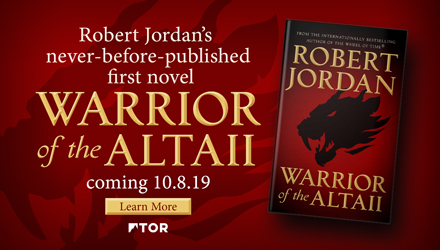 He asked publishers to make their e-books available in all versions besides Kindle's proprietary format and "get those last remaining titles into electronic format so that the businesses that do support your titles can start selling them as soon as possible." In addition, he wrote: "Remind family and friends of the value to our society of independent voices and ideas, and that independent publishers and bookstores need to be supported or they will go away. "Practice what you preach. Support accounts that support your business. Ask the organizations you support to do the same. "Tell your local booksellers that they have access to some electronic books that Amazon no longer does. ... IPG will be informing our other electronic book accounts of their favorable competitive position on our electronic titles." Response from around the industry has been quick and supportive. Suchomel said yesterday that it's been "gratifying to talk to publishers and hear their support. They said it's ridiculous and we've got to stop somewhere." He described IPG's terms as competitive and said, "I've never encountered anything like this before. We're reasonable. We're helping publishers be better publishers and be healthy publishers. We're easy to work with. We perform a valuable service to both sides of industry." Kindle sales for IPG clients varies from publisher to publisher, depending on their specialties, Suchomel noted. "For some, Kindle sales are a good chunk of business. For others, they're not that significant. Our list tends to be a little more nonfiction; we don't have bestselling fiction, which is big digitally." Suchomel hopes "to get the word out to consumers that the change doesn't mean the titles aren't available. Instead it means they just have to shop somewhere else to get them." He added, "Our other accounts seem to be happy to jump on this." 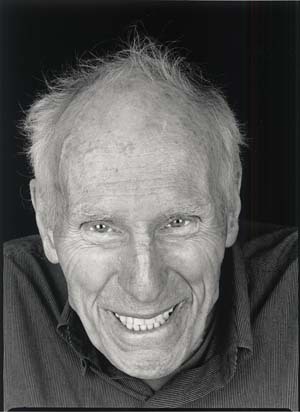 Barney Rosset, "the fiery and fearless" Grove Press publisher "who introduced the U.S. to countless political and avant-garde writers and risked prison and financial ruin to release such underground classics as Tropic of Cancer and Lady Chatterley's Lover," died Tuesday, the Associated Press reported. He was 89. "Barney was a great, great American publisher," said Morgan Entrekin, publisher of Grove/Atlantic Books, who called Rosset among the last of a breed of publisher powerfully motivated by social responsibility. "He was extraordinary. I would say if there's a Publishing Hall of Fame, he definitely is going in it." Rosset had been working with Bradford Morrow on an autobiography that Algonquin will publish. Rosset also figured largely in the late Richard Seaver's memoir, The Tender Hour of Twilight, published by Farrar, Straus & Giroux last month. Calling the decision "a victory for traditional brick-and-mortar retailers," the Washington Post reported that Amazon has agreed to collect and pay sales tax on purchases made by Virginians. 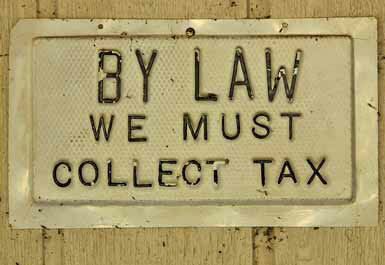 Originally the online retailer was going to be exempt from collecting sales tax indefinitely. The deal goes into effect in a year and a half. Yesterday, Governor Robert F. McDonnell's office said an agreement had been reached "between his office, the online retailing giant, small businesses and several members of the General Assembly, which has been considering legislation to close the so-called Amazon loophole." The deal will "ensure that online retailers with a physical presence in Virginia are treated the same as traditional brick and mortar retailers who are already required to collect and remit existing sales taxes on goods sold in the Commonwealth," McDonnell said. Paul Misener, Amazon's v-p of global policy, thanked McDonnell "for his focus on Virginia jobs and for his efforts to work with other governors toward national resolution of the sales tax issue this year." Under the agreement, the online retailer will begin collecting the taxes on September 1, 2013, "about 10 months after Amazon plans to open two huge distribution centers in Virginia--one in Chesterfield County and one in Dinwiddie County," the Richmond Times-Dispatch wrote. Earlier this month, the Poisoned Pen, Scottsdale, Ariz., hosted an event for Deborah Crombie, author of No Mark Upon Her (Morrow), the 14th installment of the Duncan Kincaid and Gemma James mysteries. The tale involves the suspicious death of a rower in Henley-on-Thames, a rower who was a member of the Leander Club, the exclusive rowing club whose mascot is a pink hippo. 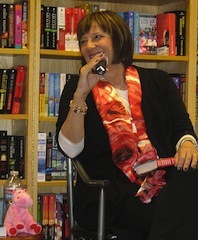 Here is Crombie with her own pink hippo, Leo, who has been her book tour partner. Reading a book more than once can offer mental health benefits, according to a study published in the Journal of Consumer Research under a title that we had to read several times, and not for mental health benefits: "The Temporal and Focal Dynamics of Volitional Reconsumption: A Phenomenological Investigation of Repeated Hedonic Experiences." The Daily Mail reported that the study, based upon interviews with readers in the U.S. and New Zealand, found that the "first time people read--or watch--through, they are focused on events and stories. The second time through, the repeated experience reignites the emotions caused by the book or film, and allows people to savor those emotions at leisure. The 'second run' can offer profound emotional benefits." "By doing it again, people get more out of it," said Cristel Antonia Russell of American University. "Even though people are already familiar with the stories or the places, re-consuming brings new or renewed appreciation of both the object of consumption and their self." MSNBC noted that Russell also said the new findings have profound implications for marketing: "Marketers are always trying to keep experiences fresh and new. We show that even old experiences can be perceived as offering new perspectives. Also, many industries are in the business of re-launching, or creating new versions of this or that (movies made from stories in a book, re-releases of old classics, etc. ), so we show them the ways in which consumers may respond to these re-experiences." The organizers of National Reading Group Month (October) are asking publishers to submit titles for inclusion in this year's Great Group Reads program, which is in its fourth year and is a resource for book clubs and reading groups to plan discussions and for bookstores and libraries to recommend. The selection committee is looking for titles that will "open up lively conversations about a host of timely and provocative topics, from the intimate dynamics of family and personal relationships to major cultural and world issues" and seeks "under-represented gems from small presses and lesser-known mid-list releases from larger houses. All should be books with strong narratives peopled by fully realized characters; books which perhaps have flown under the radar of reviewers and reading groups overwhelmed by the sheer number of new releases each year." For more information, contact Roz Reisner, Great Group Reads coordinator, at roz@thereisners.net (subject line: Great Group Reads 2012). 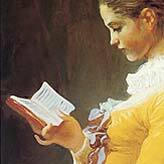 For more information about National Reading Group Month, which is sponsored by the Women's National Book Association, go to NationalReadingGroupMonth.org. Kevin Callahan has been promoted to associate publisher of It Books. He was formerly director of marketing for It Books and Harper Design. He joined It Books as associate director of marketing and was involved in the launching of the imprint. The Back in the Day Bakery Cookbook by Cheryl and Griffith Day (Artisan). Several members of The Hunger Games cast and crew will embark on an eight-city shopping mall tour--sponsored by the Microsoft Store, China Glaze, and h2O Spring Water--beginning March 3. The movie opens March 23. The group will include actors Jennifer Lawrence, Liam Hemsworth and Josh Hutcherson at certain locations, according to the Hollywood Reporter, which noted that The Hunger Games "has quickly taken its place as the next monster franchise for teenage girls to obsess about. The tour should only intensify that interest, as fans will enjoy the opportunity to meet members of the cast, participate in q&as and enter giveaways to win Hunger Games paraphernalia." You can check out a list of destinations and visiting "talent" for the national mall tour here. Lone Wolf: A Novel by Jodi Picoult (Emily Bestler Books/Atria, $28, 9781439102749) reunites the scattered family of a wolf researcher after he is injured in a car crash. Silent Partner by Ande Parks, Jonathan Kellerman and Michael Gaydos (Villard, $23, 9780440423638) is a graphic novel adaptation of Kellerman's mystery novel. Marshmallow Madness! : Dozens of Puffalicious Recipes by Shauna Sever, photographs by Leigh Beisch (Quirk Books, $16.95, 9781594745720) is a cookbook stuffed with gooey dessert recipes. Cinnamon Roll Murder by Joanne Fluke (Kensington Books, $24, 9780758234933) is the latest Hannah Swensen culinary mystery. Let It Go: Forgive So You Can Be Forgiven by T. D. Jakes (Atria, $25, 9781416547297) gives advice on the process of forgiveness. Out of My League by Dirk Hayhurst (Citadel, $24.95, 9780806534855) recounts a minor league baseball player's quest for the majors. The Escape Artists by Noam Scheiber (Simon & Schuster, $28, 9781439172407) explores the team of insiders creating President Obama's economic policy. The Lucky One by Nicholas Sparks (Grand Central, $14.99, 9781455508969). Torn (Trylle Novels) by Amanda Hocking (St. Martin's Griffin, $8.99, 9781250006325). Moonwalking with Einstein: The Art and Science of Remembering Everything by Joshua Foer (Penguin, $16, 9780143120537). Feed Yourself, Feed Your Family Good Nutrition and Healthy Cooking for New Moms and Growing Families by La Leche League International (Ballantine, $20, 9780345518460). An American Spy is Olen Steinhauer's third thriller starring Milo Weaver, a retired CIA operative who was part of the top-secret "Department of Tourism," a team of agents operating with little or no restraints. The plot extends directly from that of its predecessors, The Tourist and The Nearest Exit, but don't worry if you haven't read those books; Steinhauer works the prior events and preexisting relationships smoothly into the new storyline. At its best, the approach feels less like a case of bringing new readers up to speed in the third book of a trilogy and more like investing a standalone spy story with a rich backstory. In that context, it's worth noting that although An American Spy is billed as a Milo Weaver novel, Steinhauer waits nearly 100 pages before he brings Milo into the story. After a brief prologue set in Germany, the opening section deals primarily with Xin Zhu, a high-ranking Chinese intelligence officer whose linked obsessions--with the Department of Tourism and with the threat of a mole in China's Ministry of Public Security leaking secrets to the Americans--have led to cataclysmic operations that now jeopardize his position. While Zhu schemes to gather evidence and convince his colleagues of the mole's existence, though, the former head of Tourism is trying to recruit Milo into joining his plan to make one last run at taking down Zhu. Milo rejects the offer, but as Al Pacino says in The Godfather Part III, "just when I thought I was out, they pull me back in." Who, though, is doing the pulling? 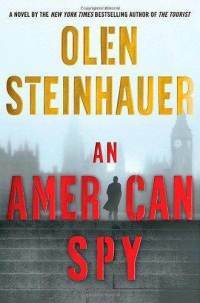 Shelf Talker: Steinhauer's spy stories are often compared to the best of John le Carré and Len Deighton, and An American Spy ably lives up to that reputation.